WOODINVILLE, WASHINGTON, UNITED STATES, July 10, 2018 /EINPresswire.com/ -- In addition to the pressures we face in our lives, every day the media inundates us with an excess of negativity. Because where we place our attention is where we place our energy, what we focus on increases. It begs the questions; are you feeling frustrated? Dejected? Stuck in patterns you don’t know how to break free from? When life’s problems overwhelm us, we often lack the self-confidence to make it through the day. As a result, we spin out in our mind, which ultimately leaves us feeling hopeless and depressed. But what if you had an intuitive coach whose mission it was to empower you and help you clear a path towards your purpose? 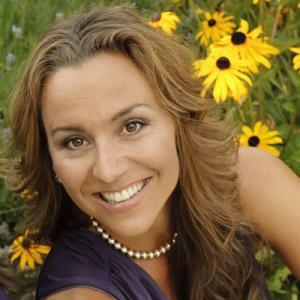 Sue Lundquist is a speaker, clarity coach, psychic, energetic facilitator, and author of I’m Thankful Journal: Thoughts for Bedtime for a Lifetime, and the President of I’m Thankful LLC. In her unique curriculum, Lundquist teaches her clients to reinvent themselves through what she’s coined Your Personal Code of Conduct (PCC). PCC is a personal navigation system to create a purposeful outlook resulting in purposeful choices and decisions. As clients gain a new inner compass, they also gain access to the boldness and strength that already resides within them. It’s this boldness and strength that fuels them on their journey towards breaking negative habits, quelling their inner critic, and overcoming toxic feelings of lack. In her first award-winning book, Lundquist illustrated her passion for gratitude and how it creates love and empathy among families. 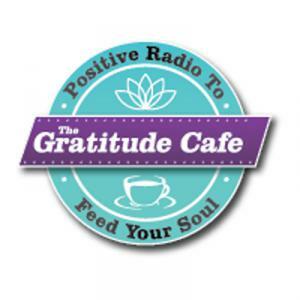 By teaching gratitude, she enables her clients to create dialogues within their families. These conversations are designed to spark conversations which help parents engage with their children to ponder their moral values, as well as what they desire to create for their lives. For Lundquist, it’s vital to help all her clients change the energetic and emotional frequency that keep them living in fear and negative energy. By encouraging joy, hope, and gratitude, through the energy these emotions create, she propels her clients forward to receive more than they ever imagined. For Lundquist, helping people from a profound place of pure rawness, tough love, and vulnerability is much needed in today’s world of fear and lack. She believes we all need to raise our mental and physical vibration to make lasting personal and global changes. CUTV News Radio will feature Sue Lundquist in an interview with Jim Masters Tuesday July 10th at 3pm EST.